Three more people have been arrested last night in connection with the lynching of two Guwahati youths in Karbi Anglong district. 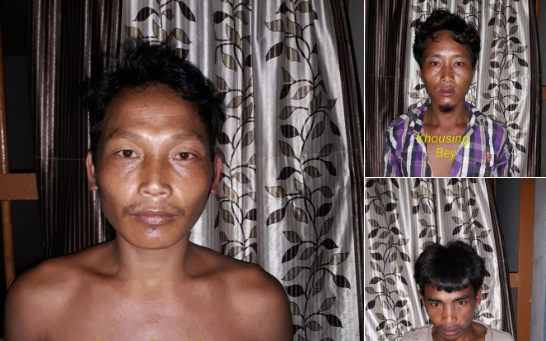 Karbi Anglong police arrested Rupsing Kro, Khousing Bey and Bor Kro around 2 am last night from Panjuri village under Dokmoka police station of the district for their alleged involvement in the lynching of Nilotpal Das and Abhijit Nath. Nilotpal and Abhijit– who were on a trip to a remote location in central Assam’s Karbi Anglong district– were lynched by a mob suspecting the duo to be child lifters on Friday evening at Kangthilangso area of the district. With the arrest of these three people, the total number of accused arrested in connection with the case has gone up to 19. Earlier as many as 16 people were arrested following the incident. Meanwhile, police have constituted a five-member special investigation team (SIT) headed by the Karbi Anglong SP to investigate the horrific incident. Assam DGP Kuladhar Saikia said that those arrested included the man who allegedly fanned the rumour on social media that child lifters have entered Assam. While ADGP Mukesh Agarwal is monitoring the investigation, ADGP Harmeet Singh has been charged with keeping a vigil on rumours on social media, Saikia said. The DGP appealed to people not to get swayed by rumours and immediately inform police if they came across any such post.